Tekkie Pinas has been created to be able to cater and provide the latest information on gadgets,software,events or anything in between that has been happening all around the world. 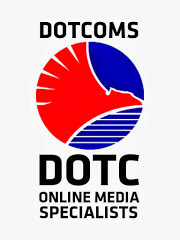 We have been established on February 2013,to be able to cater to Filipinos here in the Philippines and abroad,and give them the latest happening around the world particularly in the world of technology. We welcome all walks of life in this blog, it doesn't matter if you are a nerd or not,as long as you love the technology around you; You are most welcome here. If you want us to review some of the latest technologies around you, and you are dying to hear about a feature that you want us to tackle; Do send me an email at mark@tekkiepinas.xyz or you can contact me at 0926.667.3713, and rest assured that we will cater to all of your request as soon as we can. Once again,thank you for supporting and visiting our site, and welcome to Tekkie Pinas!